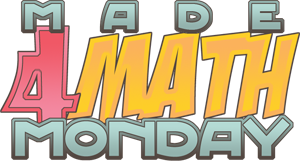 I'm a little late for "Made 4 Math" Monday! We are marching through our unit on linear functions - writing equations and graphing. Last week I submitted my lesson plan on slope-intercept form. Today I have the activities we used for point slope form. Last we practiced in partners - using an activity created by my colleagues. 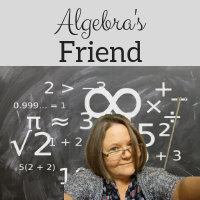 My students struggle with the algebraic manipulation. We will need more practice! Thank you for posting these ideas....you are right where I am with my students practicing the same things. I'm interested, if you don't mind explaining a bit more, on how they go from the notes to the graphic. Can you explain that process? And I love the partner activity....what a wonderful way to let students work as partners, but yet still do independent work. I used the graphic to summarize the notes. After we took notes on the practice problems, we filled out the webbing graphic together in hopes of helping the details stick. My students really struggle with the details ... and especially with the standard form. #6 and #11 are incorrect. My apologies! I am not sure that I still have the original document. If I find it I'll correct it! Thank you for pointing out the error!